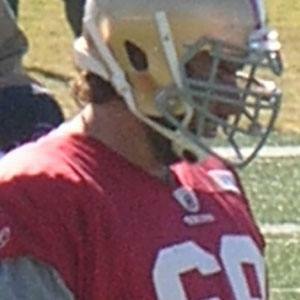 NFL guard and offensive tackle who was drafted by the San Francisco 49ers in the third round of the 2005 NFL Draft. He received the Morris Trophy as the Pac-10 Conference's top lineman while playing for the University of Oregon. He played for the 49ers from 2005 until 2011, when the Arizona Cardinals signed him to a five-year contract. He married Erika Widmark in 2006, and together, they had their first child, son Kael Richard, in October 2008. He became teammates with Kerry Rhodes upon signing with the Arizona Cardinals.